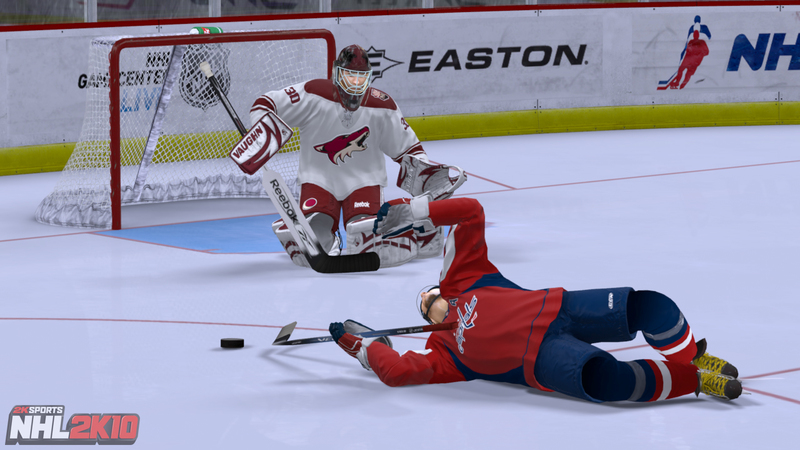 Unable to gain traction against EA Sports' NHL series, 2K put NHL 2K on a one-year hiatus last year, ostensibly to return with a breakthrough game built on a two-year cycle. The series still published on the Wii, last year where it was met by EA Sports' NHL Slapshot. Now both bids are over. "2K Sports will not release an NHL title for consoles this year," the company told Kotaku, without any elaboration. 2K Sports published NHL 2K11 for the iPhone and iPad last year. There is no competing NHL product from EA Sports on those devices. The cancellation leaves 2K Sports with MLB 2K and the widely acclaimed NBA 2K series as its licensed sports simulation titles. Its third-party exclusive contract with Major League Baseball expires next year, and if commentary from Take-Two's senior leadership is any guide, it is unlikely to be renewed. Take-Two CEO Strauss Zelnick has called the licence "a losing proposition."